Compatible with Shimano 8-10 speed cassettes, the Trace Freehub Body by Race Face features precise and reliable engagement and high quality sealed cartridge bearings. 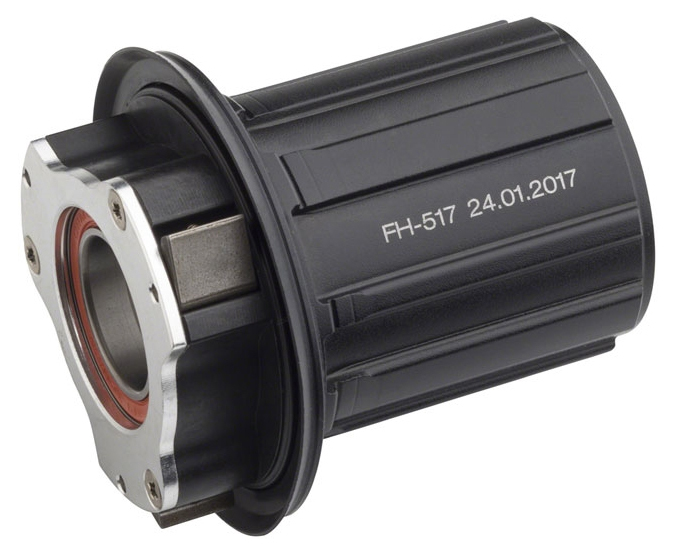 Replace your Trace Freehub and enjoy the high-performance addition to your drivetrain. This is the freehub for my Race Face Tubine (non-R) wheel that came on a Banshee Rune. I understand meeting a price point; you can't build a $3k bike with Hope hubs. But, these Race Face/Formula freehubs are totally inadequate. By the 800 mile mark, the powdered-metal pawls were done, the lowest-bidder cartridge bearings were rough as old boots, and the replacement cost is totally out of line. Shame on Race Face for pedaling this bargain basement trash as premium kit. Consider that you could get a Shimano Zee complete hub for half the price of just this freehub... which is exactly what I did.